Do you have old appliances, equipment, or furniture lying around and taking up space? Our affordable removal services offer the perfect solution. We can pick up your residential or commercial trash quickly and efficiently. You can get your trash hauled away without any hassles. We provide fast and convenient junk removal in Edina. You simply send us a photo of your trash and we can give you an estimate within 24 hours. You can also book an appointment and receive a quote before our team begins hauling your trash.You schedule the date for your trash removal and our Junk Happens drivers arrive on time. They handle all the loading and clean up afterward. Most jobs are completed within two hours and you always get a low rate. You only pay for the space that your trash takes up in our large trucks. When selling a home or moving, you will come across a lot of junk that you no longer need. Your old furniture, decorations, and random junk do not need to make the move to your new property. You can get rid of a wide variety of old items including all types of appliances, furniture, televisions, and tires. 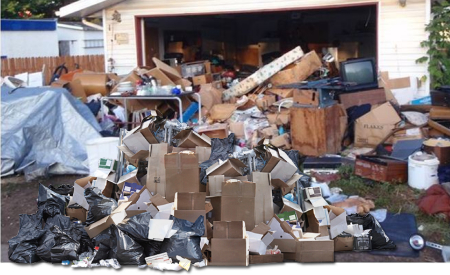 Our junk removal service in Edina MN is available for residential and commercial customers. You can contact us to pick up the junk from your home, business, or rental property. We also handle warehouse, estate, and garage cleanouts. With our junk removal in Edina MN, you can do your part to protect the environment. At Junk Happens, we are committed to limiting the amount of trash that ends up in the landfills. We recycle and reuse 100% of the trash our team picks up. Junk Happens partners with reuse organizations, donation centers, salvage yards, and recycling centers to keep as much material out of the landfill. Junk Happens is a locally owned and operated company. Our employees and trucks are fully licensed and insured, ensuring that you are protected and your trash is properly disposed of. We always provide professional service and arrive fully equipped to remove and clean up your old junk. For reliable and cheap junk removal in Edina, contact the pros at Junk Happens. We offer low rates for trash hauling in the greater Minneapolis and St. Paul metropolitan area. Our team makes the removal process quick and easy. We even clean up after loading your trash. Your junk no longer needs to take up unnecessary space in your residential or commercial property. Call us today or book online to get a trash removal price estimate. What kind of environmental issues should I consider before starting a demolition project? For most homeowners, demotion can be the most overwhelming project. Preparing and planning is the key aspect of any demolition project. Identifying the debris and knowing how to remove it can prevent unforeseen issues and ensure the project goes smoothly. Our experts are trained to make all of this unwanted demolition and removal debris go away. We’ll come out and give you an estimate to get the job done and schedule it for a time that is convenient for you. Our experts also make sure that the disposal of all of these materials is done in the most environmentally sensitive way possible. How much do you charge for junk removal in Edina and mention your payment methods? At Junk Happens, we have a pre-determined rate structure in which you pay only for the space you actually you use in our trucks. These trucks can hold 18 cubic yards of waste whereas the trucks of our competitors are only 14.8 cubic yards. Our pricing includes labor, disposal fees and there are no hidden charges. For some items, MN state solid waste taxes and surcharges may apply. Some items may have surcharges like TVs, mattresses/box springs, Freon, etc.. We will let you know before we take anything that would incur a surcharge. How will you dispose of the junk collected? We partner with several local non-profit organizations such as Bridging, Savers, Goodwill, VA and others to donate a portion of the junk we remove from our clients. In addition to donating, we also recycle a variety of metals, aluminum, wood, appliances, etc. We are committed to lead the way to help people keep our planet green, clean and beautiful for the generations to come. At Junk Happens, we share the environmental vision: reduce, reuse, and recycle. Can you explain the pricing options for your junk removal service in Edina MN? Instead of charging a quarter, half, three-quarter, and full load prices, we look at the total volume the truck holds in cubic yards. Our pricing includes labor, disposal fees and there are no hidden charges. *Some items may have a surcharge. A team member will let you know surcharges before we take the item and give you options for removal. Why should I choose Junk Happens for junk removal in Edina MN? At Junk Happens, we have over a decade of experience in junk removal and have kept our costs low. We handle both residential and commercial junk removal with the same care and efficiency so as to have a minimal impact at your home or work day. Our professionals haul anything you need removed or demolished and disposed of. We are committed to providing environmentally friendly options to our customers. The top priority at Junk Happens is better serving our customers, cleaning up our communities, and using environmentally friendly practices.